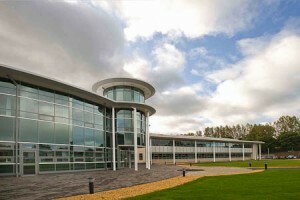 William Brookes School & Sixth-form College is a new state-of-the-art building, which also includes a sports centre and swimming pool. Technology Installation Services designed, installed and commissioned the new AMP NETCONNECT category 6e UTP/LSF infrastructure and two fibre-optical cables that link the main server room to two satellite communications rooms. Fifteen hundred AMP category six UTP ports were installed for voice, data, TV, wifi and the building management systems. The infrastructure is backed up by eight category 6 cables. The project is covered by the AMP NETCONNECT 25-year performance warranty.